Columbia University College of Physicians and Surgeons, 2007. My research focuses on oncologic applications of molecular imaging, with an emphasis on developing new imaging tools for the rapidly growing field of cancer immunotherapy. I am particularly interested in the development of novel radiotracers / reporter genes for CAR T cell tracking, as well as the development of radiolabeled antibodies for PET imaging of the immune system. To address these research areas, my laboratory utilizes an interdisciplinary team with expertise in a variety of scientific fields, including organic chemistry, radiochemistry, molecular biology, biochemistry, and bioengineering. Many of these translational research projects begin with in vitro studies and animal models, however the goal of every project is clinical application. Huang AC, Orlowski RJ, Xu X, Mick R, George SM, Yan PK, Manne S, Kraya A, Wubbenhorst B, Dorfman L, D’Andrea K, Liu S, Chilukuri L, Kozlov A, Carberry M, Giles L, Kier M, Quagliarello F, McGettigan S, Kreider K, Annamalai L, Zhao A, Mogg R, Xu W, Blumenschein W, Yearley JH, Linette G, Amaravadi RK, Schuchter LM, Nathanson KL, Farwell MD, Karakousis GC, Wherry EJ, Mitchell TC: A Single Dose of Neoadjuvant PD-1 Blockade Predicts Clinical Outcomes in Resectable Melanoma. Nat Med. 25(3): 454-461, 2019. Lohith K, Kwon S, Padakanti P, Thanna S, Hou C, Weng CC, Sellmyer M, Mach R, Farwell M: Radiosynthesis and in vitro evaluation of [11C]Shield-1, a PET probe for imaging CAR T cells that express the iCasp9 suicide gene. J Nucl Med. 59(61), 2018. Sellmyer M, Richman S, Lohith K, Hou C, Lieberman B, Mankoff D, Mach R, Milone M, Farwell M: In vivo monitoring of CAR T cells using [18F]fluoropropyl-trimethoprim. J Nucl Med. 59(122), 2018. Makvandi M, Pantel A, Schwartz L, Schubert E, Xu K, Hsieh CJ, Hou C, Kim H, Weng CC, Winters H, Doot R, Farwell MD, Pryma DA, Greenberg RA, Mankoff DA, Simpkins F, Mach RH, Lin LL: A PET imaging agent for evaluating PARP-1 expression in ovarian cancer. J Clin Invest. 128(5): 2116-2126, 2018. Shah NN, Nagle SJ, Torigian DA, Farwell MD, Hwang WT, Frey N, Nasta SD, Landsburg D, Mato A, June CH, Schuster SJ, Porter DL, Svoboda J: Early positron emission tomography/computed tomography as a predictor of response after CTL019 chimeric antigen receptor–T-cell therapy in B-cell non-Hodgkin lymphomas. Cytotherapy. 20(12): 1415-1418, 2018. Gordon MS, Tsai F, Postow M, Hellmann M, Harding JJ, Korn RL, Farwell MD, Mitchell TC, Schuchter LM, Ziolkowska M, O'Donoghue J, Lewis JS, Wu AM, Le W, Wilson I, Weber WA, Wolchok JD, Behera D, Pandit-Taskar N: Imaging of tumor infiltrating T cells with an anti-CD8 minibody 89Zr-IAB22M2C in advanced solid tumors: a phase I first-in-human study. J Immunother Cancer. 6(Suppl 2): O49, 2018. Maity A, Mick R, Huang AC, George SM, Farwell MD, Lukens JN, Berman AT, Mitchell TC, Bauml J, Schuchter LM, O'Hara M, Lin LL, Demichele A, Christodouleas JP, Haas NB, Patsch DM, Hahn SM, Minn AJ, Wherry EJ, Vonderheide RH: A phase I trial of pembrolizumab with hypofractionated radiotherapy in patients with metastatic solid tumours. Br J Cancer. 119(10): 1200-1207, 2018. Ahmed HS, Pantel AR, Metz JM, Plastaras JP, Farwell MD: FDG-Avid Focal Liver Reaction From Proton Therapy in a Patient With Primary Esophageal Adenocarcinoma. Clin Nucl Med. 43(5): e139-e141, 2018. Chen X, Yang Y, Berger I, Khalid U, Patel A, Cai J, Farwell MD, Langer C, Aggarwal C, Albelda SM, Katz SI: Early detection of pemetrexed-induced inhibition of thymidylate synthase in non-small cell lung cancer with FLT-PET imaging. Oncotarget. 8(15): 24213-24223, 2017. Lohith K, Kwon S, Padakanti P, Lieberman B, Sandau U, Boison D, Mach R, Farwell M: Synthesis and initial characterization of [125I]-5-iodotubercidin, a radioligand for imaging adenosine kinase. J Nucl Med. 58(866), 2017. Mankoff DA, Farwell MD, Clark AS, Pryma DA: Making Molecular Imaging a Clinical Tool for Precision Oncology: A Review. JAMA Oncology. 3(5): 695-701, 2017. McDonald E, Tchou J, Doot R, Feldman M, Farwell M, Schubert E, Palmer K, Demichele A, Mankoff D, Mach R: Imaging Proliferative Status in Primary Breast Cancer Using the sigma-2 selective ligand, F-ISO-1. J Nucl Med. 57(32), 2016. 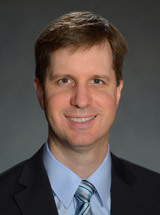 Farwell MD, Clark AS, Mankoff DA: How imaging biomarkers can inform clinical trials and clinical practice in the era of targeted cancer therapy. JAMA Oncology. 1(4): 421-422, 2015. Mankoff DA, Farwell MD, Clark AS, Pryma DA: How imaging can impact clinical trial design: molecular imaging as a biomarker for targeted cancer therapy. Cancer J. 21(3): 218-224, 2015. Farwell MD, Pryma DA, Mankoff DA: PET/CT imaging in cancer: Current applications and future directions. Cancer. 120(22): 3433-3445, 2014. Harris PE, Farwell MD, Ichise M: PET quantification of pancreatic VMAT 2 binding using (+) and (-) enantiomers of [18F]FP-DTBZ in baboons. Nucl Med Biol. 40(1): 60-64, 2013. Farwell MD, Chong DJ, Iida Y, Bae SA, Easwaramoorthy B, Ichise M: Imaging P-glycoprotein function in rats using [(11)C]-N-desmethyl-loperamide. Ann Nucl Med. 27(7): 618-624, 2013.